How I come to rethink Allison Pearson’s “I don’t know how she does it” not as a pink-covered chick lit hit but as a dark and desperate cautionary social tale à la Dickens. How did Kate Reddy grow and evolve over nearly 2 decades? Well, she approaches the terrible age of F… Fifty, that is. She has two teenagers, a husband going through midlife crisis, ageing parents, and she needs to get a proper paycheck to balance it all. But as she quickly realizes that the big bad F-word scares employers away, she decides to take drastic measures… and lie about her age. It is sharp and hilarious and unvarnished about the dilemma that women face around the age of F… (the age that must not be named! ), the double standard, the physical changes (hot flashes, forgetfulness, etc. ), the invisibility, the age discrimination, etc. I will not reveal the ending but it is charming and uplifting and unrealistic enough to make Kate Reddy firmly belong in chick lit land. 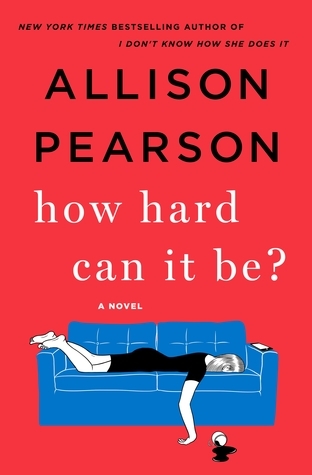 But Pearson has a piercing eye for details and comical situations and the plot often walks a fine line between comedy, tragedy and social criticism. For those who have read the first book as for the newbies who are anywhere near the age of F… , the book comes highly recommended! I actually left my job after I had my first child after reading the first book. Not with the intention of retreating to the countryside and becoming a stay at home mother, but with the feeling that I didn’t want to become a corporate robot and never get to see my kids. So I don’t dare to read this book, in case it makes me do something else dramatic! Wow, talk to me about influential books! so tread with caution, but I’d still recommend you the book! I was let down by the ending of this one, after investing so much in the relationship from the first one. It seemed like there wasn’t much there between the parents after all.